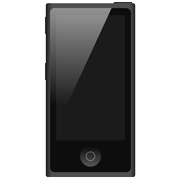 This tutorial is about how to Move Music Video from iPhone to iPod nano 7G. Read on to get an all new idea that can help you Move Music Video from iPhone to iPod nano 7G. Free download this award-winning software so that you can make use of it after reading this article. Is there any way to move music video from iPhone to iPod nano 7G which I'm going to buy and I don't have to start all over? As in the near future, it's not likely for me to invest a new computer, so I have to do this (move music video from iPhone to iPod nano 7G) on my friends' cmoputer. Is it possible? It's a pity that iTunes cannot help if you want to move music video files from iPhone to iPod nano 7G instantly. By moving media content among multiple devices, you will keep the iPod nano 7G containing the most desirable music video perfectly. 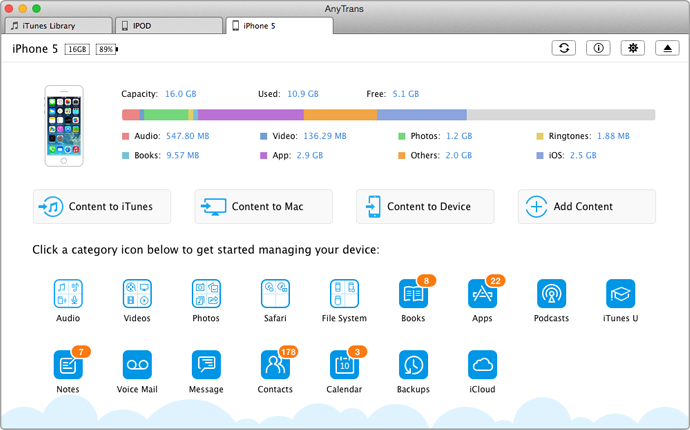 AnyTrans is a professional iPhone to iPod nano 7G transfer which can freely transfer videos, photos, ebooks, music with fast speed. 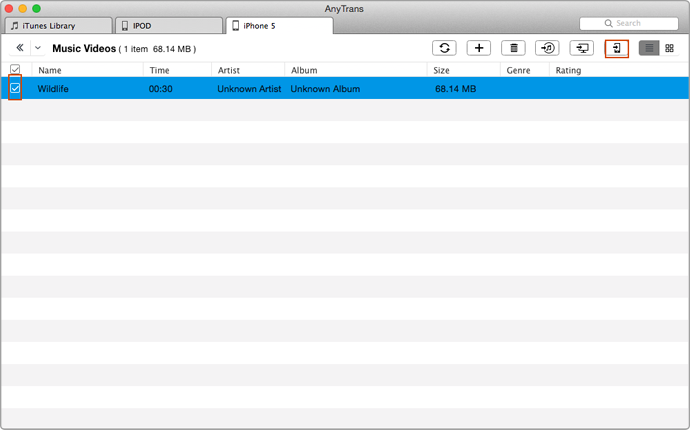 So if you are tired and sick of mazy iTunes settings, then probably you should use AnyTrans to manage iDevices because it will only transfer the wanted music video files. The entire syncing process will be greatly shortened. Before starting, you can free download AnyTrans and get it installed on your computer. It is worry-free from virus or any other potential security hazards to your PC. After a few seconds seconds setting up process, you can check it's main interface as below. lick on "Videos" > choose the "Music Videos" to enter the manage page. Highlight the music video files you choosed and click To Device option (Shortcut: Right click the mouse and select To Device). Then you can leave it alone and AnyTrans will auto move music video from iPhone to iPod nano 7G. iPod shuffle 3G - Smaller design with controls relocated to right earbud cable. Introduced with two colors, and features VoiceOver. Apple Inc. - Apple official site.